As an older person, what do you most want from life? To be able to live out your last years in peace, tranquility, and safety – perhaps with the people you most love. Being comfortably off is very important, as is making sure your money is taken care of properly. In terms of the lottery, we’ve heard many stories of older people who have won big jackpots and been able to make the lives of others, as well as their own, much easier. But it now seems there are some horrible scam artists out there who are targeting more and more older people and trying to con them out of money they can ill afford to lose. 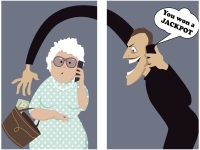 Here’s the lowdown on the raft of elderly lottery scams that are doing the rounds at the moment. Since 2013 Police in Jamaica have classed lottery scamming in the same bracket as a homicide when it comes to seriousness and officials there are saying they’ve seen a huge rise in the number of people who are being targeted by scammers trying to extort money from them, particularly elderly people. In one illegal scam, Jamaicans pose as lotto officials to convince vulnerable foreigners and elderly people there that they’ve won a big payout. In order to claim their prize people making the cold call tell people all they have to pay is a small ‘processing fee’. Of course, people fall for this, pay the fee but never ever get any prize money. Most of these scammers are young, aged 14 to 25. Many of them will work in professions such as telemarketers, remittance services cashiers, hotel employees, taxi drivers, police officers, bank tellers and airline staffers. Jobs that mean they have access to the personal details of thousands of vulnerable citizens. Now it seems these scammers are trying further afield, targeting Americans, especially the elderly. In 2010 alone, Jamaican lotto scammers defrauded the US $30 million from scores of victims in one state – Minnesota. In one particularly menacing aspect of the scam, fraudsters menace victims who are reluctant to pay the processing fee. The scammers use Google Earth, describe the victim’s home and locale and say they’re waiting outside to get them and cause actual harm. This criminal enterprise thrives in the Montego Bay area, the heart of the Jamaican tourism industry. 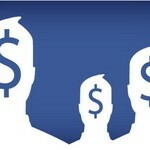 It is believed many fraudsters have got very rich, preying on the vulnerabilities of others. Since 2006, lottery scamming has become their lucrative new revenue source. Estimates suggest that the fraud’s immense profits were behind around fifty percent of the almost three hundred and fifty murders that occurred in western Jamaica in 2017. Over in the county of Leicestershire, in the UK, police are receiving reports that many elderly and vulnerable people are being targeted by fraudsters claiming to have won the lottery. Police say that victims are approached in the street and asked for money in exchange for a winning lottery ticket. It’s believed that the fraudsters are approaching their victims, saying that they are illegal immigrants to the country, have won the lottery but can’t claim their money as they have no passport. Victims are asked for money in return for the ticket, and in some cases, as much as £50,000 cash has been handed over. Police in Leicester are keen to warn the public about this and have distributed leaflets and other information, translated into different languages to help people understand the seriousness of the scam. It appears the majority of people who have been targeted are elderly Asian people who do not have English as a first language. It has also been suggested that the suspects, who could be men or women, have driven victims to banks to withdraw the cash. We hope whoever is responsible for these disgusting acts are caught and given a very long jail term. Over in the USA, in Hillsborough County, detectives there say a trio of criminals preyed on senior citizens, specifically, Hispanic women. Scammers managed to convince victims that they had winning lottery tickets but had to give cash up front to receive their lottery prize because they were allegedly in the country illegally. At least twelve people fell for it, some handing over more than $186,000 in cash and jewels. The Sheriff’s Office there have since arrested Jhon Figueroa and Siomara Jimenez. There is a warrant out for the arrest of Marino Jimenez Quintana. They will all be charged with scamming 10 people in Hillsborough County, also one person in Polk County, and one person in Lake County. They have stolen $152,034 in cash and $34,400 in jewelry offered by victims who didn’t have cash. One victim, Maria Lebron was shopping at Fresco y Mas on Sheldon Road when she was approached by a woman claiming she had a winning lotto ticket. The woman said she was going to be deported, had won the lottery and needed help claiming the large prize. A second man joined the conversation and there was even someone on the other end of a telephone line ready to pretend to be an official with the Florida lottery, all in an effort to make the victim believe it was real. Maria said she couldn’t help because her son was in the hospital and she needed to get back. However, the scammers persisted and she gave in, going with them to her bank to withdraw $5,000 that could be used as collateral to claim the winnings, under the impression she’d get several thousand in return. Maria is now agoraphobic and no longer wants to leave home. She can’t forget what happened and won’t get her money back. Don’t let yourself fall prey to these evil humans. If you think you’ve been targeted or know someone who is vulnerable, read on to know how to spot a scam and stop yourself being caught. Any lottery or sweepstakes requiring upfront fees equals scam There is only one exception to this rule, and these are “skill contests” (solving puzzles, submitting recipes, etc) in which you may be required to give over a very small fee. If you didn’t enter a contest, you didn’t win it, and no-one should convince you otherwise! If you enter the lottery and win, keep the ticket as proof. If you didn’t enter a draw and someone contacts you claiming that you have, they’re scamming you. No legitimate contest issues partial-payment checks, asking the recipient to then send some of it back. 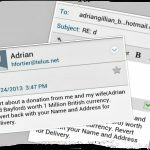 Lottery scammers will often use lottery scams to try this. If you forward any funds, you’ll lose them and will be liable for any more money taken from that deposit! Scammers sometimes set up phony state lottery websites, that really don’t exist. You should check out what legitimate draws are made in your area and if you’re suspicious – or contacted from someone claiming to be from a lottery you’ve never heard of, report it! If you send upfront fees for a contest, expect to be hounded for additional fees time and again. Scammers have a list of people who have been successfully duped and will continue to contact them. If you’re ever unsure, check the small print of any sweepstakes. If any of the required information is missing, you can bet your money it’ll be a scam: start and end dates; judging date; methods of entry including judging criteria; type of proof of purchase required; description of prizes and approximate retail values; legal disclaimers; and sponsor’s name and address. As a disclaimer, even if some or all of these are included, still check online to make sure the content isn’t a scam. A claim such as ‘guaranteed win’ is a scam. No contest is allowed to legally claim such a thing. If you’re ever unsure or think that something appears too good to be true, it probably is. Always check out the sources of any lottery games or competitions and if you ever have any doubts, then go with your gut reaction. If you’ve been tricked or scammed, report whatever information you have to hand to the police who will be able to investigate fully. Be aware, be safe and never give any money to anyone in order to receive a fake lottery prize!